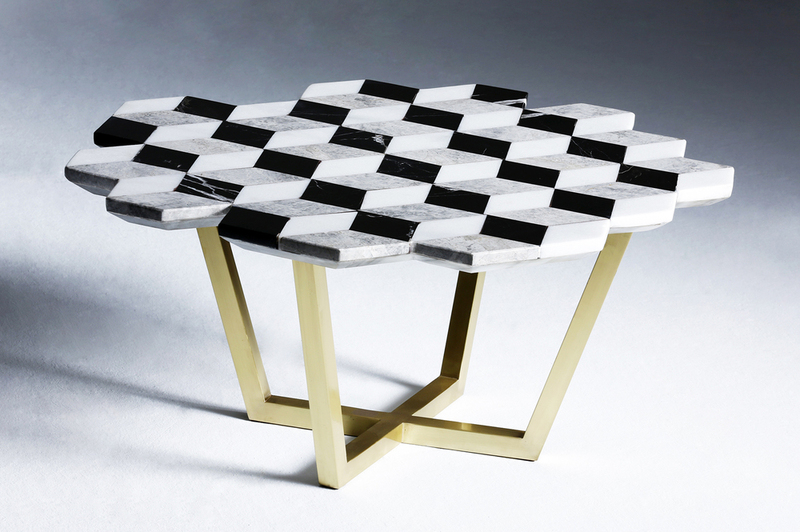 The Diplopia coffee table was conceived from the idea of creating an object that conveys an optical illusion. 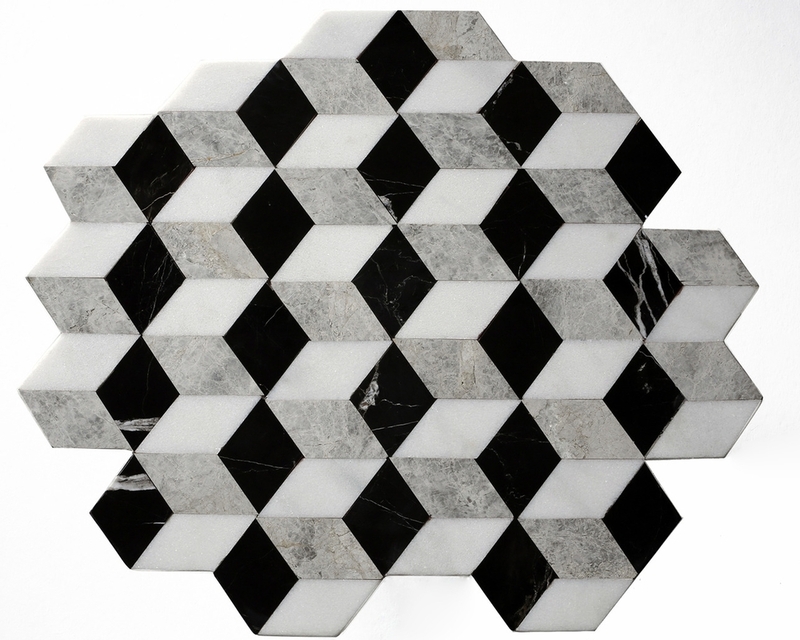 The stereographic effect is produced through combining different kinds of marble. 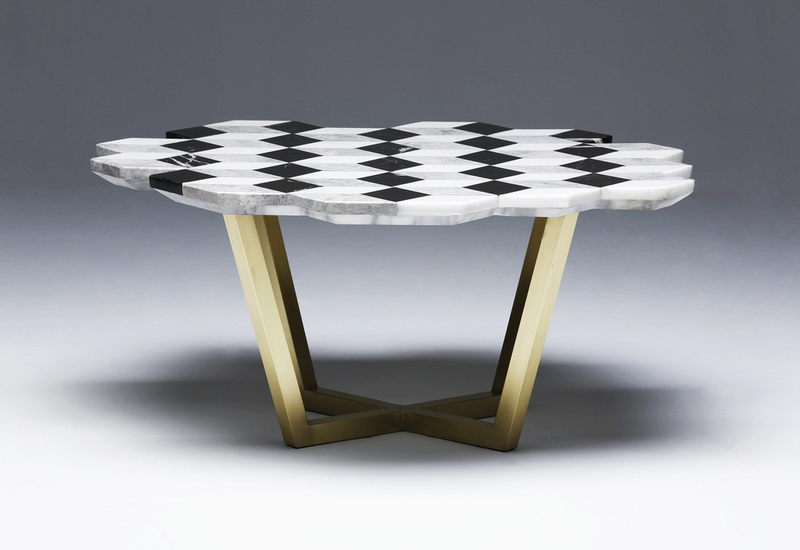 The asymmetric form of the marble table top adds to the illusion of diplopia. 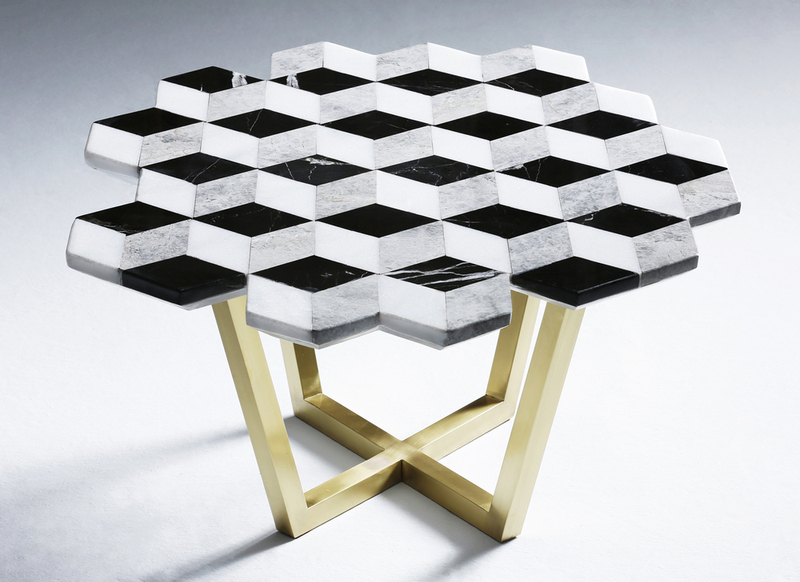 Monochrome and colored versions of diplopia come with polished or unpolished brass legs. Bigger sizes are available upon request. 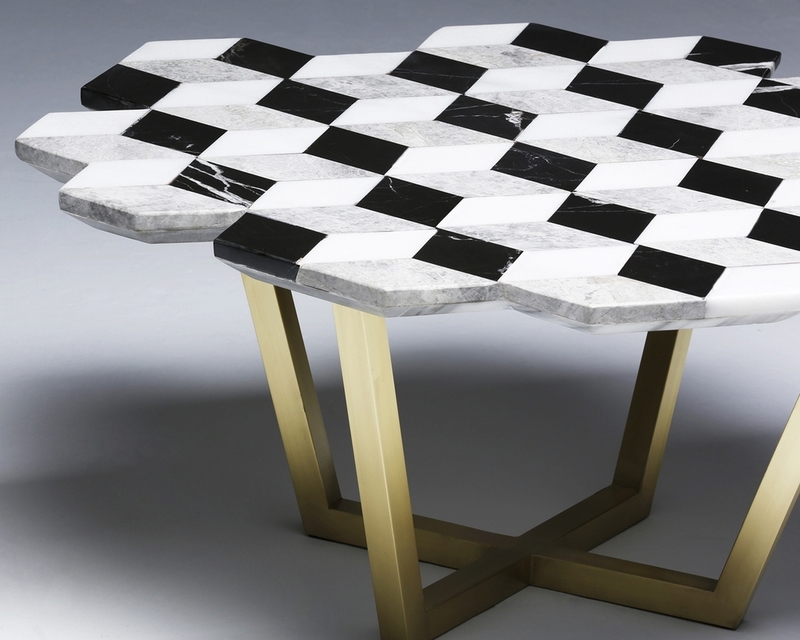 Black Toros marble, Silver gray marble, Tasos white marble and unpolished brass (polished brass or black metal legs are available upon request).